Nederburg has come away with a gold outstanding medal and eight golds from the 2017 International Wine & Spirit Competition (IWSC) in London. The gold outstanding, the competition's highest medal honour, went to the 2013 vintage of Nederburgs Private Bin Edelkeur. The renowned noble late harvest, made from botrytised Chenin Blanc, has earned Nederburg considerable international kudos over the years. It forms an integral part of Nederburgs special Private Bin collection of fine wines, made for exclusive sale at the annual Nederburg Auction. The 43rd edition of this prestigious event, taking place at Nederburg in Paarl on Saturday, 16 September, will see this multi award-winning wine come under the hammer for the very first time. It earned four and a half stars in the 2015 edition of Platters South African Wine Guide and achieved gold medals at both the 2015 and 2016 Veritas Awards. The 2012 vintage of the same wine earned a gold medal. 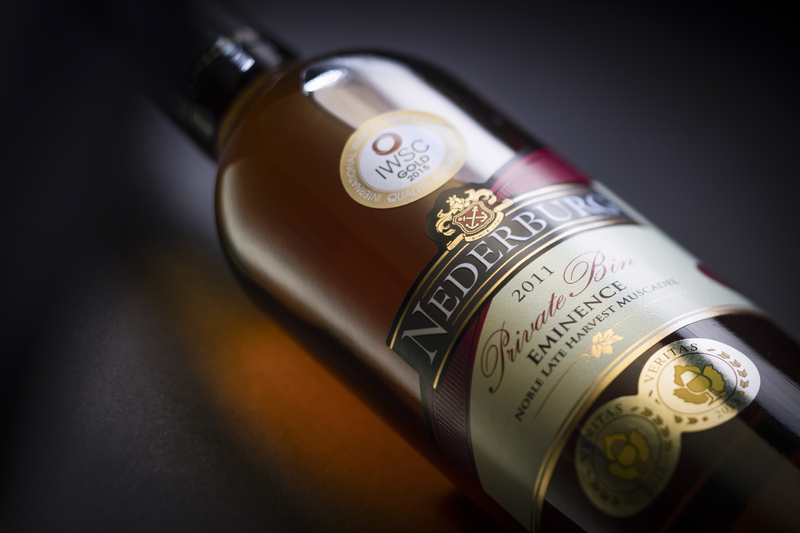 Golds were also awarded to the 2007, 2012 and 2013 vintages of Private Bin Eminence, Nederburg's flagship natural sweet wine. The 2012 vintage, sourced from 27-year-old Muscat de Frontignan vines, brought home a trophy from last years International Wine Challenge (IWC) in London. Nederburg cellar-master Andrea Freeborough describes the layered and complex dessert wine as very fragrant with typical Muscat and floral notes with aromas of currants, raisins, citrus and spice and a rich, luscious palate, balanced by good acidity. Nederburg Private Bin D234 Sauvignon Blanc 2016 and Nederburg Private Bin R163 Cabernet Sauvignon 2014 also achieved gold medals, as did the 2012 and 2013 vintages of Nederburgs Two Centuries Cabernet Sauvignon. The Two Centuries collection comprises luxury, hand-made, site-specific single varietal wines that express exceptional terroir. They are released only in exceptional vintages from individually bunch- and then, hand-sorted fruit. Buy Nederburgs Two Centuries collection online at www.vinoteque.co.za, or at the farm in Paarl. The Private Bin range is only available for sale at the annual Nederburg Auction.